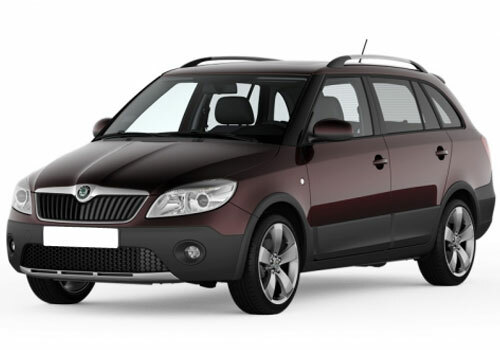 Skoda India seems to be gearing up to bring in the Skoda Fabia based off roader Skoda Fabia Scout. The SUV concept was launched at the recently Auto Expo and could create its own space in the Rs 9 lakh SUV segment in India. The Fabia Scout concept was unveiled at the Geneva Motor Show in 2009 and since then there has been much anticipation about the new Skoda car. The specs details of the Skoda SUV concept were displayed plainly at the Skoda stall at the Auto Expo. A close look at these specs reveals that the Skoda Fabia Scout will have a liquid cooled turbocharged diesel engine. The engine will have a capacity of 105 PS and a maximum torque capacity of 250 Nm at 1500-2500rpms. The 1598cc engine will be able to reach the 100 kmph mark in just 10.9 seconds which is a respectable figure for an SUV. The five speed fully synchronized manual gearbox will look after that the power from the engine is translated in toto to the wheels. Among the safety features, Skoda Fabia Scout will have a dual front airbags, anti-lock braking system, engine braking control, Dual Rate Brake Assist system ensuring the of roading capabilities to its max. The specs also reveal that the Skoda Fabia Scout will have audio control mounted on the steering besides a climate control air conditioning and multi function information display to keep tab of every change in the vehicle. The Fabia Scout will sport 16-inch alloy wheels. With Skoda thinking of bringing in Fabia Scout, Volkswagen India is also rumored to pitch in a Volkswagen Polo counterpart. It is expected that the Polo answer will also sport a 1.6 TDI engine and will be priced similarly in order to give a tough fight to the Scout.